How to Make tvOS Games and Apps With v-Play and QT! Support for tvOS apps and games has been added to V-Play and Qt so now you can launch your cross-platform games and apps on your Apple TV too. 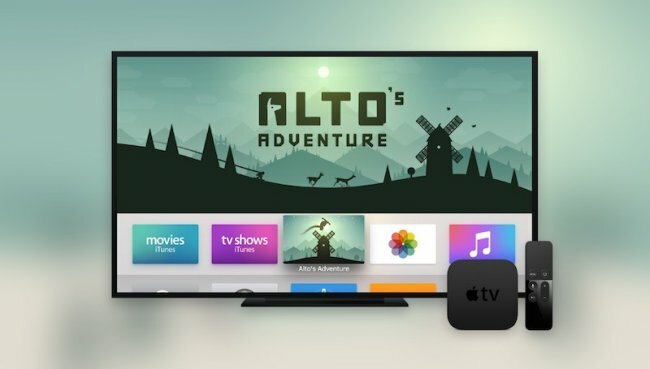 tvOS is the smart TV operating system from Apple that lets you play games and use apps on your Apple TV. Support for tvOS apps and games has been added to V-Play & Qt so now you can launch your cross-platform games and apps on your Apple TV too. Apple based tvOS on iOS but it also includes a range of frameworks that are only supported on Apple TV. The company launched it in September 2015 alongside the 4th generation of Apple TV. The Apple TV is a device that acts as a digital media player and micro-console with a touch-screen interface. tvOS lets you play games and use apps from your Apple TV. It offers a unique experience in comparison to a mobile device or tablet. It’s better suited than smaller devices at creating a shared experience for users. This is because the large screen allows multiple people to interact with it at the same time. This shared experience is the focus of the tvOS user experience. You need to keep it in mind when you create your own tvOS apps and games. There are many reasons why making tvOS apps and games make sense. Smart devices like the Apple TV are only a small part of the Internet of Things that will become more popular in the next few years. Many companies are working on ways to make the home more intelligent. As this trend grows, Apple TVs and tvOS may become as popular in homes as the MacBook or iPad. As it’s only been a little over a year since it’s release, tvOS is still a relatively young OS. While there’s no guarantee of success, it’s hard to see Apple letting one of Steve Job’s greatest passion projects fail. These factors point to one thing for developers considering the tvOS marketplace. It’s an opportunity to place your apps and games on a platform with huge potential for growth. It’s no secret that it’s becoming harder for apps and games to get seen on both Google Play and the App Store. It’s not just harder for your app to get discovered, cost-per-install is on the rise for most developers too. There are other avenues available to mobile developers. But targeting a platform other than these two means entering into shrinking marketplaces. These marketplaces are already struggling for relevance and will do for years to come. tvOS apps and games don’t have either of these problems. They exist in a small marketplace that still has the opportunity to grow. V-Play developers will know about all the mobile platforms they can launch their apps & games on. But it’s worth noting that you will also be able to port your existing apps and games to tvOS with minimal effort. With it being so easy to bring your game or app to this new platform, you should know that it can be profitable too. Opportunities exist for both F2P and premium apps and games to make money from Apple TV users. If your F2P game or app is doing well, it won’t hurt to get a little extra ad revenue by putting your app or game on Apple TV. The real benefit is for developers seeking to release premium apps and games. Historically, people seem to have no problem paying to see stuff on their televisions. Whether it’s extra channels, pay per view events or apps and games. There seems to be less resistance to shelling out for something that appears on TV. It’s also worth noting that Apple users are more likely to buy premium apps anyway. Paid apps make up 47% of the apps available for Apple TV. So some developers must have had success in this area already. Before you get started on making your tvOS app, here are a few considerations to keep in mind. Using an app or playing a game on a TV screen is a different experience than using a phone or tablet. Make sure you understand the differences before you start making your app or game. If possible, try out the Apple TV for yourself and test some games and apps to see what works best. 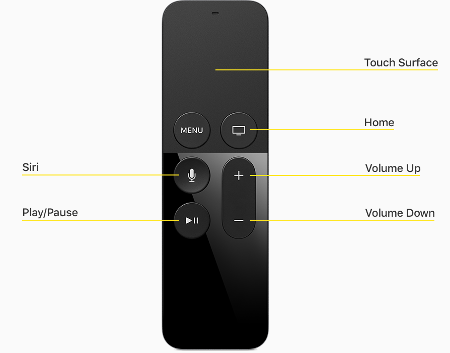 All Apple TVs come with a remote that’s used for navigation. The main feature of the remote is a touch surface that works extensively with swipe gestures. It also features buttons for standard actions such as play/pause and volume up/down. You’ll need to consider if these navigation differences will affect the UX that your app or game provides. Will you need to change the user interface for your app or game to accommodate the remote? It’s an important factor to consider before porting your app or game to tvOS. The purpose of the remote control is to make navigation seamless. This means you need to straighten out any hitches in your UI before you target the platform. As mentioned, the Apple TV creates a shared experience; just like a traditional television set. There’s no such thing as creating a tvOS app or game for just one person. You need to be aware that there may be multiple users viewing your app or game at any time. tvOS apps have a maximum size of 200 MB and don’t make use of local storage. Instead, you need to stream app data from iCloud. Apps larger than 200MB can be packaged and loaded with On-Demand Resources. If you’re not a fan of a data-conscious approach, then tvOS apps mightn’t be for you. You can develop apps and games for tvOS using the exact same V-Play workflow as you would for Android or iOS. You write your code in Qt Creator and deploy it from there to an Apple TV or simulator. Porting your existing games is easy too. tvOS support for V-Play uses the same API as the current SDK, so your game or app won’t change in any way when you port it to Apple TV. V-Play is yet to support touch input but it supports a range of swipe gestures on remote control. V-Play mapped these gestures to the up/down/left/right keys of a keyboard. This makes it possible to test your game or app on desktop before deploying to Apple TV. Nativeutils are fully implemented for tvOS. This makes it possible to show native confirmation dialogs and input dialogs in your app or game. This feature is essential for providing your users with a native UX. V-Play added support for key events such as buttons and focus hints. This enables you to improve the UX of your app or game by making it easier for users to see which button is selected. You can also add the Google Analytics plugin to your tvOS app or game in just a few minutes. See our documentation for more details on how to add this plugin with just a few lines of code. 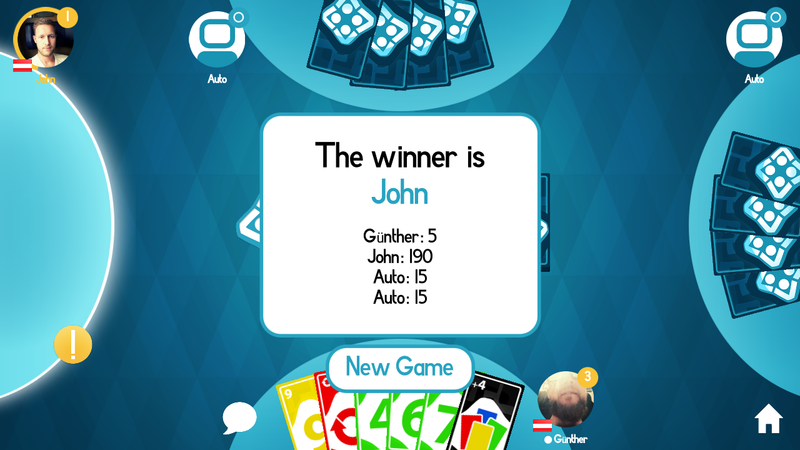 tvOS Example Game – One Card! V-Play has an example tvOS game on the App Store. V-Play released One Card! for iOS and Android but we were able to port it to tvOS with only minor additions to the source code. The only change we needed to make was to add support for keyboard input (up, down, left, right, enter). We wanted this feature so it would be easy to test apps and games on desktop before deployment to Apple TV. As there’s no point device available, we also added a focus hint for the currently active (selected) item, like the currently active card from the user’s stack or the selected menu item in the main menu. Finally, we added one of those shiny app icons with parallax effect, which are the essence of the Apple TV user experience All of these changes took less than a day. You can do the same with your V-Play games or apps! 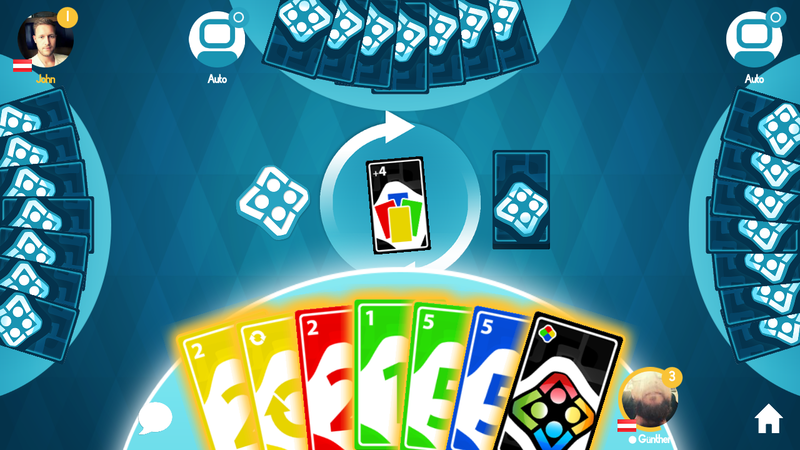 You can use this open-source game example as the basis for all your multiplayer card games. You can access the free source code when you download V-Play. You can download One Card! for tvOS here and view the source code in the V-Play SDK.